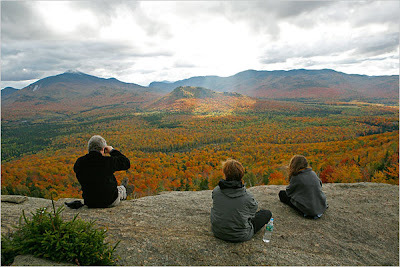 Adirondack Lifestyle ™: New York Times Loves the Adirondacks! The New York Times chose one of my favorite, quick, out-the-door hikes; up the other side of Mount Van Hoevenberg, to feature in today's Travel section. The lovely photo by famous Adirondack photographer, Nancie Battaglia, is in the Times' slide show "Why We Travel." Could You Stand This Adirondack Lifestyle? !